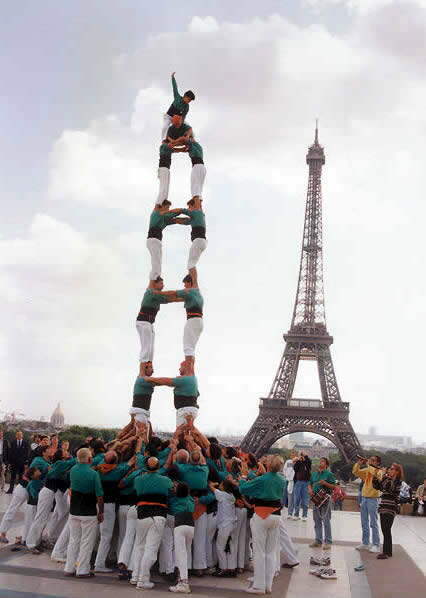 Every summer in Catalonia, Spain, teams of "Castellers" can be seen competing against each other to see who can build the highest human tower. Every catalan town has their own team or "Colla" made up of men, woman and children. 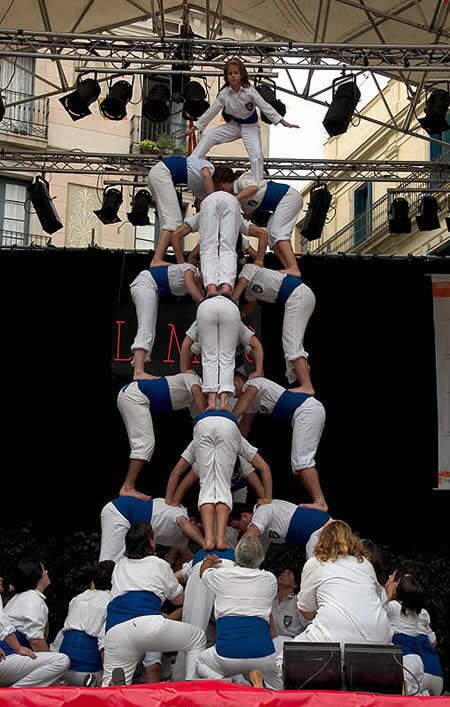 Taking directions from a "Cap de colla" (Captain of the Colla), the Castellers form a solid foundation of packed bodies, linking arms and hands together in an intricate way that will carry the weight of several tones. The foundation also serves to soften the fall in case the tower collapses, which is not uncommon. On this foundation up to eight more levels of people are built, each layer standing on the shoulders of the ones below. 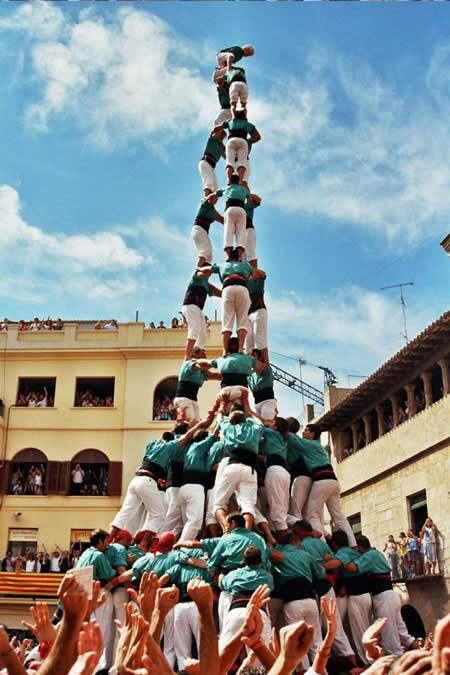 The top levels are made up of children and the Castell is completed when a young child waves to the crowd from the top of the pinnacle.